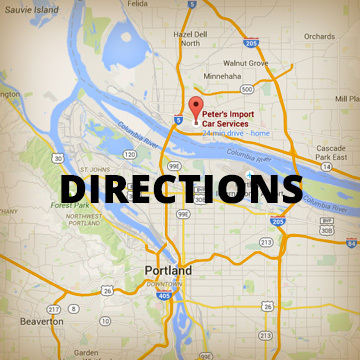 We have been called the Best Foreign Auto Repair shop in the Portland and Vancouver area by our customers. Service is of utmost importance to us. We have a philosophy that once you find an honest mechanic that you stick with them for life and we want to honor that philosophy. Peter’s Import Car service will provide you with honest service from a staff of Foreign car specialists who use up-to-date software to tell you if your repair is covered by a warranty. You’ll also experience quality service using updated equipment that is compatible with the technology in your vehicle. You can count on quality, prompt and reliable foreign auto service from our state-of-the-art shop. All repairs are completed using OEM parts from Bartosh Import Auto Parts. You’ll find the repair service you need with our expert mechanics. Call us at 360-695-9008 to schedule your appointment today.